Stream your favorite TV shows and movies, all without having to press a button. 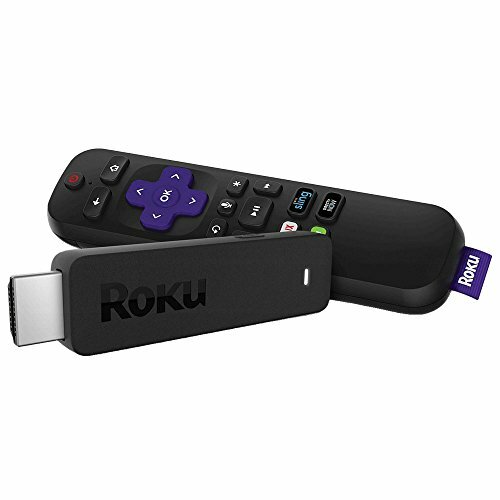 This streaming stick connects to your TV to offer access to Netflix, Amazon Video and other services, and you can search and play using only your voice. Supports free and paid channels to offer over 500,000 movies and TV episodes. Allows you to use Netflix, Amazon Video, PBS KIDS, HBO NOW and more. Voice-control eliminates the need for a remote. HDMI(TM) port for simple connection. Backed by the manufacturers 1-year limited warranty.